The huge rooftop patio will feature a new, outdoor sushi bar, fruit trees, live music, and more. By Jacqueline Cain·	 4/9/2019, 10:52 a.m.
It’s this type of classic April day—cold, rainy, and kinda miserable—that has Bostonians eagerly awaiting outdoor dining season every spring. 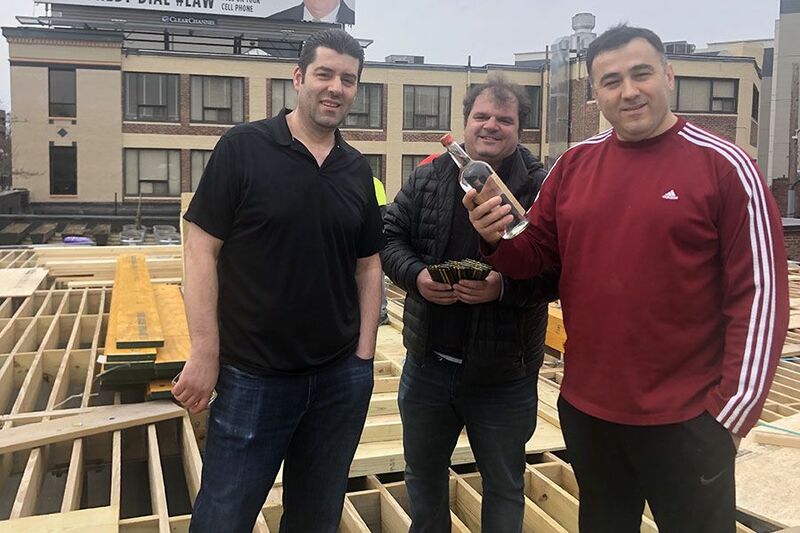 Here is yet another reason we can’t wait for warmer weather: One of the South Shore’s best patios is getting a major upgrade this spring. Alba Restaurant is more than doubling the size of its rooftop dining area and bar in downtown Quincy, owner Leo Keka just announced. Construction started this week to add 400 percent more space covering not just Alba, but also next-door sister spot, Zef Cicchetti and Raw Bar. (The rooftop will still be accessed through Alba.) Keka anticipates debuting the new outdoor dining area in mid-May, he says. 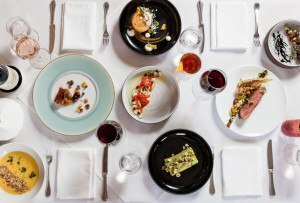 The fine-dining steakhouse first opened across the street from its current location in 2001, moving to its present location on Hancock Street in 2007, and unveiling casual rooftop dining in 2009. In 2011, Keka added an outdoor bar and TVs, which helped Alba better compete with the South Shore’s waterfront dining options, he later told the Patriot Ledger. Now, Quincy is in the midst of a much-heralded dining renaissance, adding at least 15 new dining options such as the Townshend, Pho Pasteur, KKatie’s Burger Bar, Shaking Crab, and more, since Mayor Thomas Koch successfully lobbied for 23 additional liquor licenses in 2013. There are more customers around, too: Quincy Center has recently welcomed new residences, with more mixed-use high-rises, including a nearly-15-acre medical center underway, as well as ongoing improvements to the MBTA Red Line that serves the neighborhood. “Amid this development we want to make sure that Alba remains one of the region’s premier locations for prime beef, fresh seafood, world-class wine, private events and good-time outdoor drinking, dining and celebrating,” Keka says in a press release. “I love this country, I love this industry and I love making guests happy,” continues Keka, who arrived in Boston in 1990 as an Albania refugee. A former manager at Grill 23 & Bar and Legal Seafoods, Keka worked his way up in the restaurant industry, starting by washing dishes at Anthony’s Pier 4, the legendary Seaport restaurant owned by fellow Albanian immigrant, Anthony Athanas. “The new roof deck is just another opportunity to provide diners and party goers from near and far a world-class experience,” Keka says. 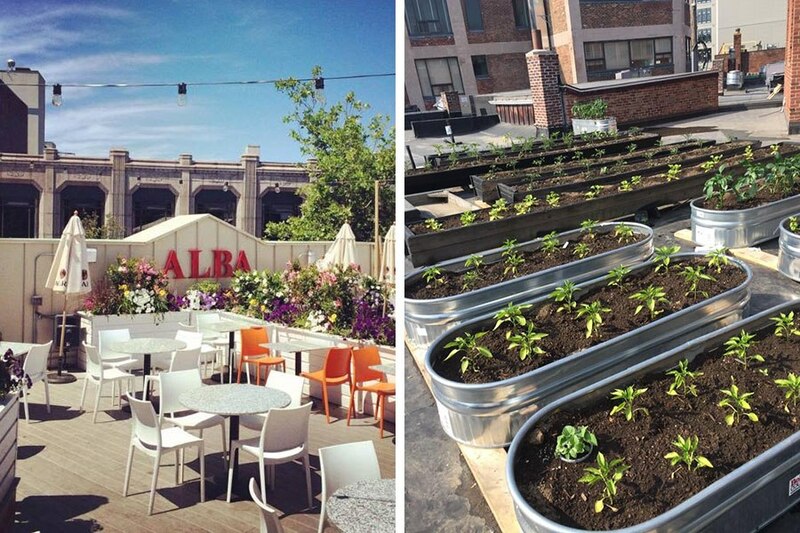 Stay tuned for updates on the debut of Alba’s expanded rooftop patio this season. In the meantime, check out these 52 awesome outdoor dining destinations around Boston.